The most common use of school badges within a school or greater educational environment is as a means of identification, or to signify the position of a particular individual, whether that is a student or a teacher. Frequent examples of this might be a student wearing a prefect badge, a house captain badge or a school council badge, for example, and this is to ensure the student, and their position, is easily recognised and identified by fellow students or teachers. 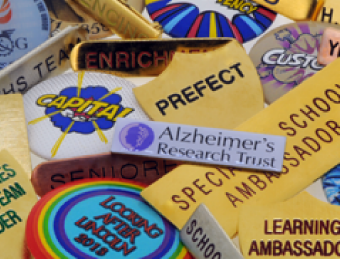 In spite of school pin badges effectiveness as a means of identification, their versatility and adaptability allow them to be utilised successfully in a range of circumstances. When students perform to the best of their ability or succeed in tasks or competitions, their best efforts and participation deserve recognition. 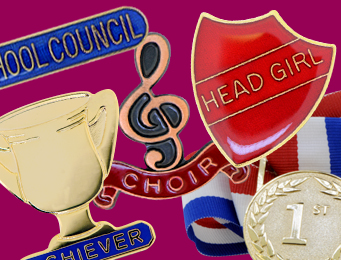 Pin badges are a fantastic – although often overlooked – way to congratulate and reward students. School button badges, ‘well done’ badges in particular, provoke a sense of pride in pupils when adorned on their school uniforms and subsequently, they have the power to act a nugget of motivation for students. Regardless of the size or significance of the award badge, recognition goes a long way amongst pupils. Award badges for students can really help spur pupils on to try their best and strive to achieve and succeed in whatever it is they are participating in, whether that be academic, arts or recreational. Badges Plus’ collection of school merit badges consists of every ‘congratulations’ you could ever need to give, including school subject badges, school attendance badges, journey award badges, bespoke sports day badges and even sports day medals. Educate with badges? Bit of an unusual one, you might think, but hear us out. Badges Plus produce flag pin badges for many countries around the world. The obvious purpose of a flag badge is for use in the workplace to inform customers on the languages any employees speak. We like to think outside of the box at Badges HQ and we have discovered that our flag badges double up as great instruments for education and inclusion when used in the school environment; they can be extremely informative and beneficial when teaching children about the countries of the world and their flags. Flag badges, or any customised school badges, can be incorporated into many fun learning activities and double up as a hands-on and practical teaching accessory that will hopefully help your pupils learn about the subject matter quickly and more effectively, in this case, flags of the world. Another rewarding use of personalised school badges is for the purpose of fundraising for local charities, school funding or even for educational field trips for pupils. Bespoke school badges can be an influential token as you appeal for funds and although small, can be a might aid in your fundraising efforts. From being given as thanks to donators, raising awareness and used to inspire donations, bespoke badges have many purposes in the fundraising sphere. 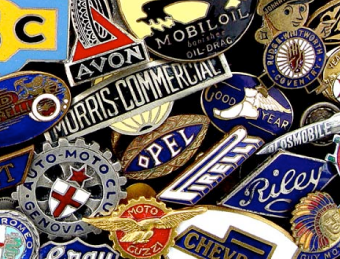 Whether you go all-out and have customised enamel school badges designed and manufactured, or stay on the subdued side with classic button badges, woven badges and everything in-between, it is important to remember that even the smallest of incentives can really pay-off when it comes to fundraising. Fundraising badges aren’t only effective for school fundraising, they can be used in almost any charity circumstance and you can read about all of the benefits here in greater detail. 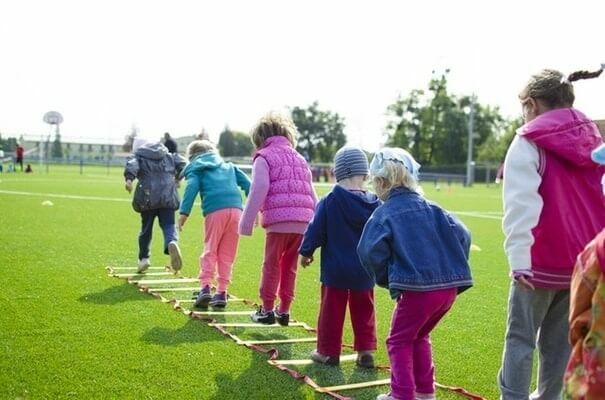 New school initiatives come about every so often, and when they do, it’s important to spark awareness amongst students and alert them of on-goings so they are able to get involved! Whether your school is initiating healthy school dinners, inspiring future entrepreneurs or doing its bit for the planet and becoming an energy efficient school, pin badges are a great way to stimulate curiosity about the topic. As a longstanding manufacturer of school badges in the UK, Badges Plus can design and produce customised school badges to suit any narrative. From novelty school badges for an active school initiative, to eco school badges and all of the in-betweens, bespoke school badges get students conversing, bring light to your cause and ultimately, stirring students into getting involved and giving it their all. 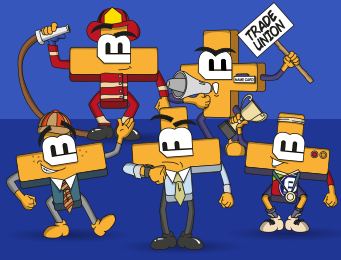 Enamel school badges can help to form a community amongst students and bring about a sense of unity. Giving bespoke badges to students who are part of a team, club or extra-curricular activity will help them to feel like a significant part of a bonded team. 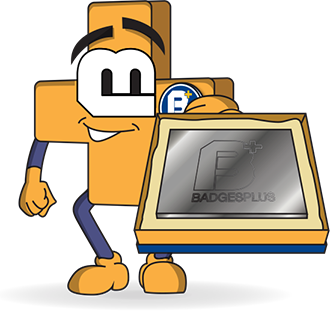 A few common requests that come to Badges Plus are those for school subject badges, school sports badges and school choir badges, but badges can be customised for use in any school scenario. House captain badges, school council badges and the likes not only symbolise a community, but they allow students to feel pride in their position or their ranking that they have worked hard to achieve within the school.